We love good coffee roasted in Barcelona by Nømad Coffee. We love good coffee! Roasted in Barcelona by Nømad Coffee. At yök we like good coffee! Our coffee is freshly ground daily and is roasted by Jordi from Nømad Coffee in Barcelona. You can find Nømad Coffee in Passatge Sert across the street from us. 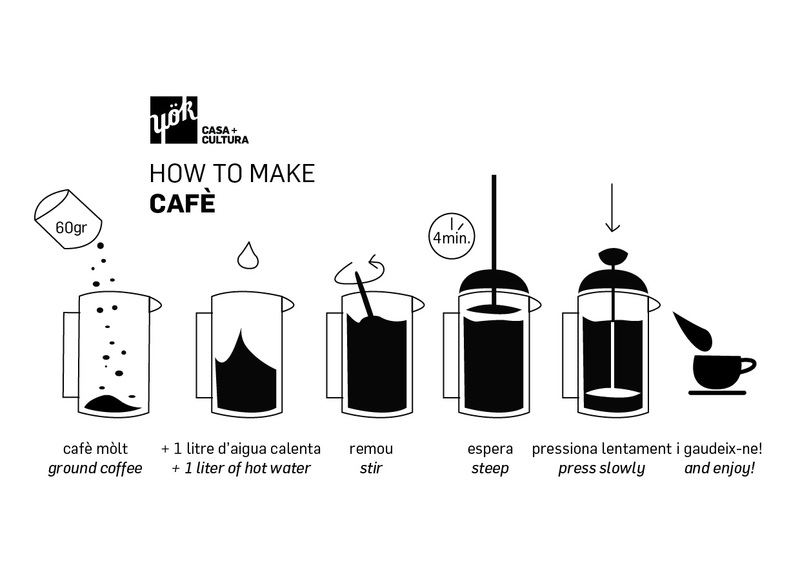 Here is how to make good coffee using a french press which you can find in our apartments.